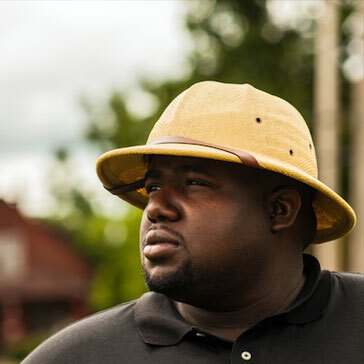 Timothy “Paule” Jackson is the co-founder/director of Detroit Hives, a nonprofit founded in 2017 whose mission is to transform vacant lots into urban bee farms for the conservation and education of honeybees. Timothy is focused on making Detroit a bee city by repurposing vacant land into pollinator habitats. The overarching goal is to improve the quality of life not only for native plants and insects, but for the surrounding community. As a proud member of Omega Psi Phi Fraternity, an ambassador for the Ford Men of Courage, and a 2018 Detroit Emerging City Champion, Tim is dedicated to changing the narrative of black men.